These smart clips are great for making or repairing bag straps in leather or webbing. 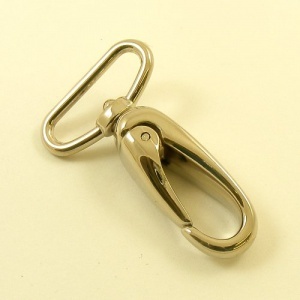 They are light weight and have a sprung opening, and an eye sized to fit a strap width of 25mm. If you want a stronger clip for heavy use, we recommend you browse our trigger hooks which are available in a wide range of sizes and shapes. 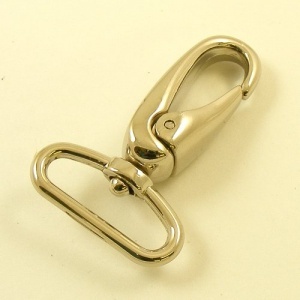 We sell these clips separately so you can choose any quantity to suit your project.